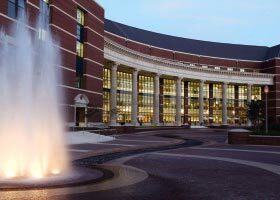 Texas Tech University, founded in 1923, is a major comprehensive research university. Its 1,839-acre campus is located in Lubbock, TX. 1,839-acre campus in Lubbock (population: 253,888). Branch campuses in Collin, El Paso, Fredericksburg, Highland Lakes, Junction, and Waco; abroad in Seville, Spain. Served by air and bus. School operates transportation around campus and to nearby off-campus residential areas. Public transportation serves campus.